The popularity of agile development methodologies continues to increase, asdevelopers and technical managers have seen the benefits of incorporatingflexibility in development projects. However, agility advocates still struggle togain business management support for their initiatives. The reluctance ofbusiness management to truly embrace agility stems from a disconnect betweenthe assumptions and techniques of traditional management and those of thenew agile development methodologies. The purpose of this book is to providemanagement a framework with supporting evidence that directly addresses thisneed. 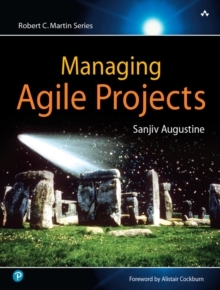 While conventional wisdom states that agile methods are not scaleable,the author shares proof that it can be applied to large-scale developmentprojects. Furthermore, he aligns the adoption of agile methods to cutting-edgebusiness management practices. The end result is a practical book that will helporganizations overcome their institutional reluctance and reap the significantbenefit of agile methods.